The Chennai Super Kings will be looking to bring back some former stars this time around. The Chennai Super Kings are the current title-holders of the Indian Premier League. The team served a two-year suspension because of the wrongdoings of the owners but made a strong comeback last year. 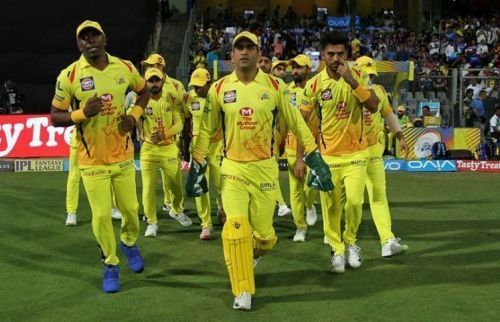 As we head into the 2019 edition of the IPL, the men in yellow will again start as the favourites to lift the title. The current CSK squad does not have any weakness on paper and seems to have got all the bases covered. However, they will be looking to reinforce some areas which need backup, and to that end, they can bring back some of the players which they lost to other franchises during their two-year ban. These players have proved to be excellent match-winners for the Super Kings in the past, and their comeback will undoubtedly boost the MS Dhoni-led side. 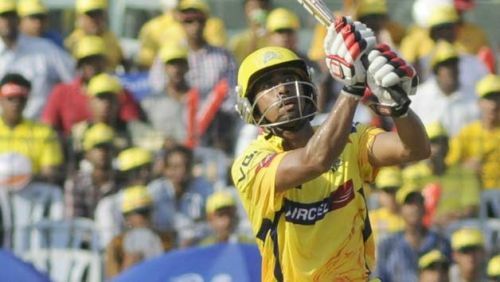 In this article, we look at three players which the Chennai Super Kings could consider bringing back. Wriddhiman Saha could act as a good backup for Mahendra Singh Dhoni. The Indian wicketkeeper-batsman was picked by the Sunrisers Hyderabad in 2018. He missed most of the matches due to injury and was left out of the squad. Wridhhiman was released by the Sunrisers Hyderabad and finds his way back into the auction again. If there is one shortcoming in the Chennai Super Kings squad then it is a replacement for MS Dhoni. The Super Kings do not have a trustworthy gloveman barring N Jagadeesan, whois yet to play a single IPL game, if their skipper is to miss a few games although in terms of captaincy it would be a seamless transition to Suresh Raina. Saha has played for the Super Kings in the past and enjoyed good success. Hence, the men in yellow should look to bring back Wriddhiman back in their squad.